Do you want to keep your banner rotator but need dynamic personalization? eDealer has you covered. Our new dynamic personalization retargeting strip combines the best of both worlds. 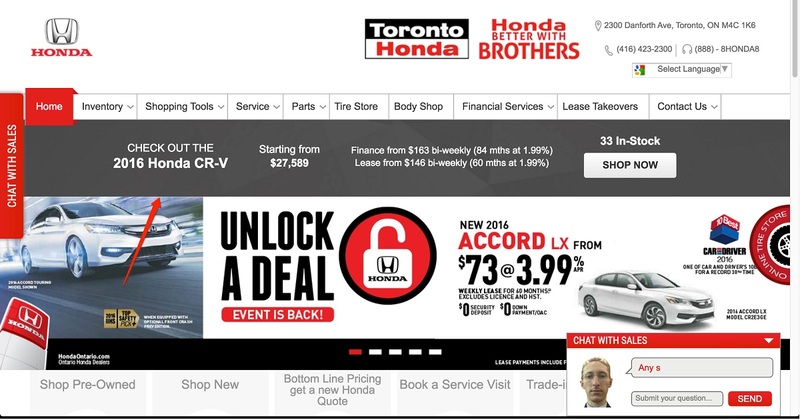 This new feature allows your dealership to keep current offers front and centre on the homepage while providing unique retargeting (based on the last unit/offer looked at) to returning visitors. Ask for this no charge upgrade today!